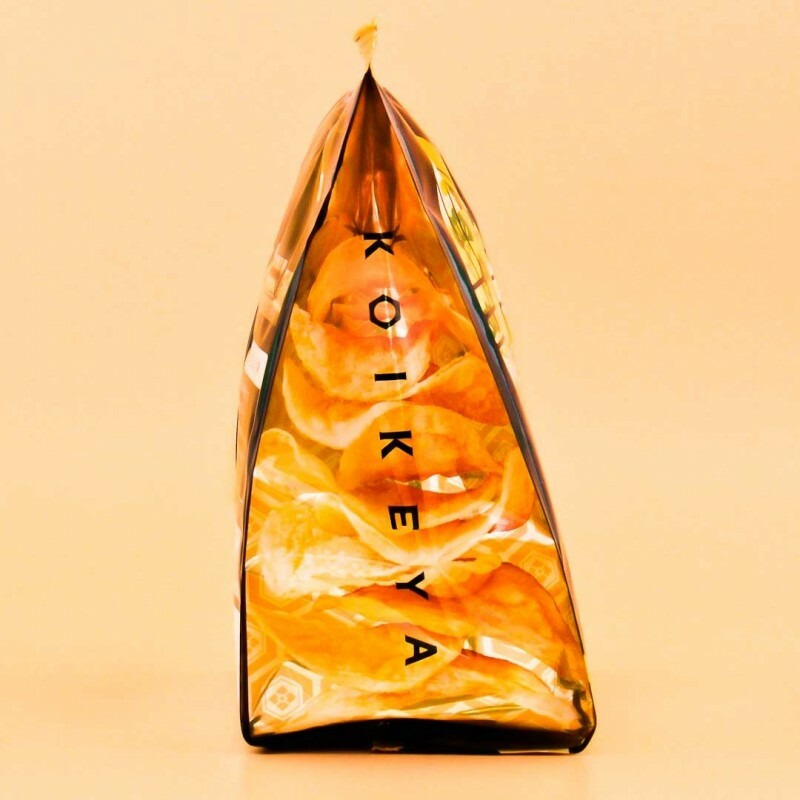 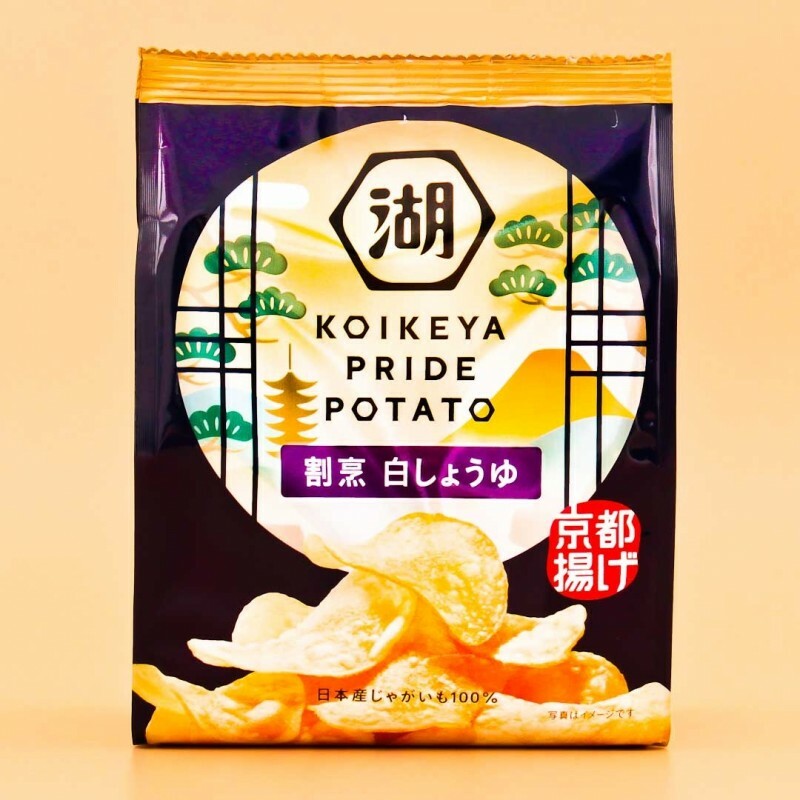 Have a taste of Kappo style cooking with these delicately flavored potato chips. 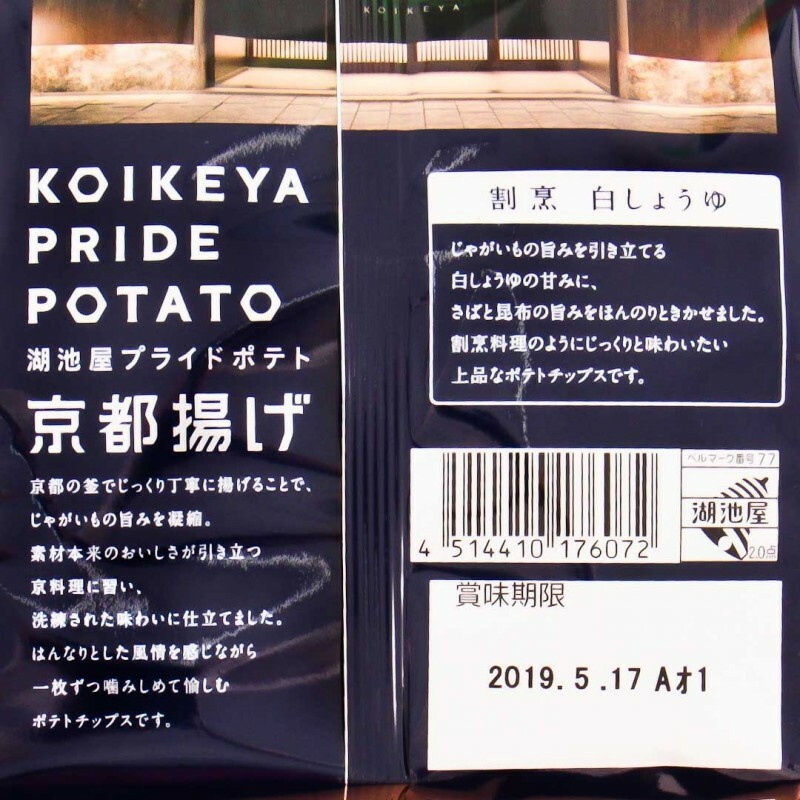 Kappo cuisine is a traditional way of cooking in Kyoto and they commonly use white soy sauce and wheat! The chips were seasoned with mackerel and kelp which complements the sweetness of white soy sauce.